The claw-like device can be attached to rovers. A sea urchin's mouth looks pretty terrifying, but the teeth inside can demolish even the toughest rocks. That's why the nightmare fuel inspired a group of UC San Diego researchers to create a claw-like device that can scoop up soil on extraterrestrial environments. The group of engineers and marine biologists 3D-scanned the mouth of a Strongylocentrotus fragilis, which is more commonly known as pink urchin, for the project. To copy the animal's mouth, they arranged the device's teeth in a dome-like formation. They open outwards and close in, just like one of those claw games in the arcade. The group also mimicked the T-shaped structure found on each urchin tooth. They found that teeth with these structures called keels "experienced 16 percent less stress than teeth without keels when subjected to a 10-pound load." It took them three tries to get the right design, 3D printing each one for testing. 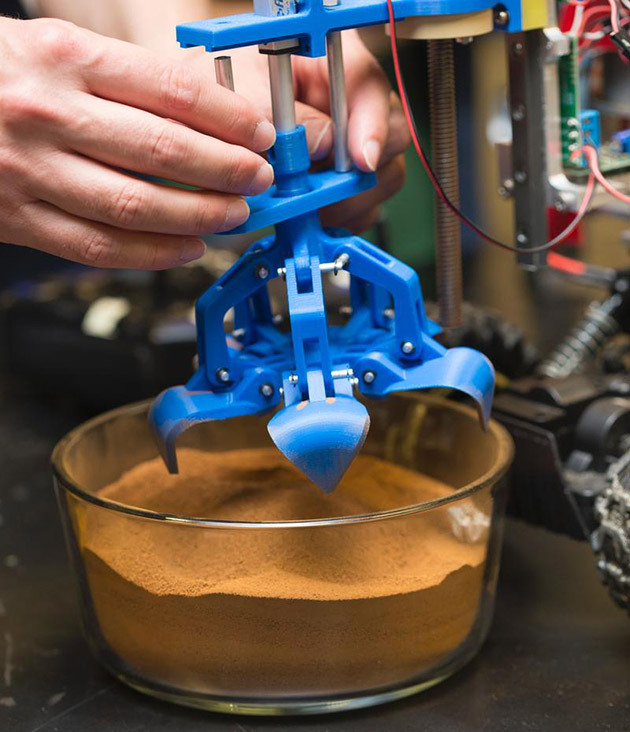 The team attached the final product to a small remote-controlled rover and had it scoop up dirt that has the same density as Martian soil. They believe the claw is a more effective solution than shovels for collecting sediments on moons and other planets, as it doesn't disturb a big part of the surface. If NASA or private companies like SpaceX are interested, the researchers envision tiny rovers roaming other worlds and scooping up dirt to bring back to a bigger, main vehicle.